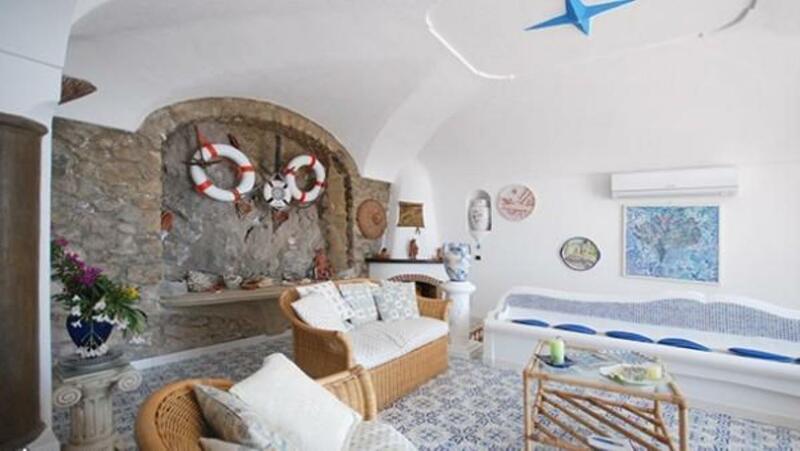 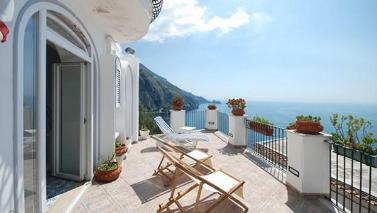 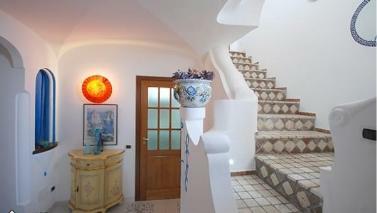 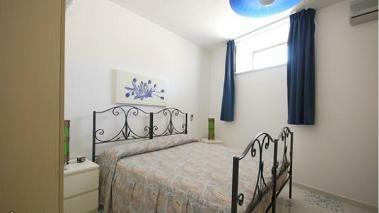 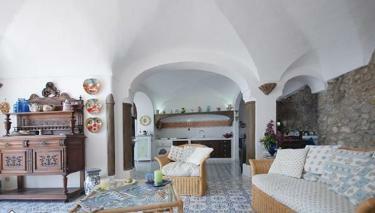 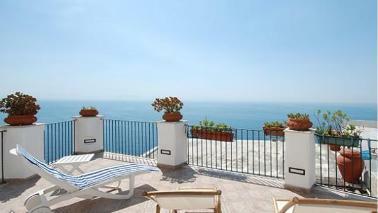 Villa Gradillo: Sea-view villa in the heart of the Amalfi Coast, Praiano, Campania. Italian holiday homes and investment property for sale. 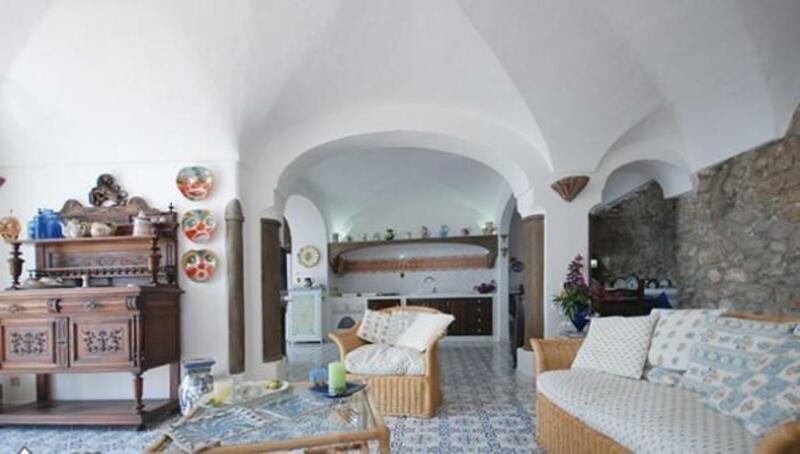 Built on 2 levels, it is composed of 2 bathrooms, large living room with exposed kitchen area separated by an arch, large, equipped and partly covered terrace of 80 sq m with summer kitchen on the ground floor and 3 bedrooms, bathroom and balcony on the top floor.